Ten months on and I’m still using the phone, so here’s my follow-up. So far the Sonic has held up pretty well. I don’t give it any special care, apart from trying not to leave it in the same pocket as my keys. The screen has developed some light scratches (key-pocket regime not strict enough), but I hadn’t really noticed them until I came to write this post. The cover for the earpiece & notification LED fell off a couple of months ago. Didn’t seem to change anything. The phone locks up and stops responding maybe once every 8 weeks, sometimes it comes back but sometimes I have to take the battery out. It’s not really enough to be a problem. The Sonic runs Android 2.3 Gingerbread extremely well – performance is snappy, apps open quickly. Today I’m a little less upbeat. Things have changed in ten months. Many app updates have come. It’s clear that developers are now focusing on newer models. Consequently, the Sonic feels like it has been getting fractionally slower over time. One of the most obvious culprits was the Facebook app, although I actually uninstalled that one a few months ago. Updates brought many nifty features that didn’t work particularly well on a lower-RAM lower-processor smaller-screen device. As a consumer, this kind of upgrade cycle seems to be the real downside to the “Android Fragmentation” problem. In some cases you can get around this by seeking out sleeker app alternatives. For example, the Twitter client “Twicca” is much faster than any alternative I’ve tried. Overall, the Sonic is still usable, but the difference will only get more pronounced. At least until all new development shifts to Android 4 or newer, which the Sonic will never run. As I said in the original review, the Sonic has decent ringer and call volume. However, I’ve since had people tell me the call quality on their end is poor. I haven’t used “Huawei Player” since I wrote the review. PowerAMP is a very good music player, well worth paying for. I also haven’t really noticed the sound quality issues that I wrote about in the first review. There is a contributing factor to that – I nearly always listen to music on my little Sennheiser in-ear headphones while walking somewhere outdoors, or on speakers plugged into the stereo at the Hackerspace where music competes with the sounds of angle grinders and mitre saws. This is the one feature that makes me regularly dislike the Sonic. As I said in the original review, image quality is poor especially in bad light. Worse, the camera app is quite buggy – on my phone it sometimes takes a long time to start, and one in every few launches it crashes outright. Grabbing a quick snap is not really an option. 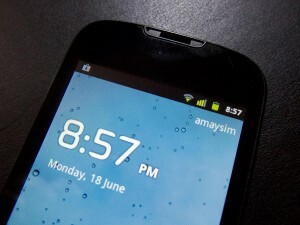 As it happens some unofficial Cyanogenmod 7.1 ports have surfaced, done by some Spanish developers. Unfortunately they’re the kind of no-source-code no-guarantees dodgy-upload-site affair that seems to be pretty common in the Android modding community. It really jars me, coming from the broader FOSS community where there’s so much emphasis on trust, identity, and source code transparency. There’s just no way I trust these kind of ROMs enough to install them on my own phone, I want to be able to see what it’s built from (and by whom, and whether anyone is supporting the releases) and repeat the process myself if I feel like it. Not that I think this is something to blame the developers for, it just keeps me from embracing it as an option. It’s up to you to decide whether that makes a paranoid free software zealot or merely fussy! In a world where I had infinite time I’d love to try and work on more open, inclusive, Android development for the Sonic. Along with the trillion other things on my backburner. There are a lot more alternatives now, especially given the Sonic price hasn’t gone down in 10 months (still AU$188.) I haven’t researched any of the cheaper options this time around. I did notice that now the Samsung Galaxy S3 is out, the Galaxy S2 (which eclipses the Sonic in every measurable way) is available cheaply on carrier-subsidised plans. For that reason it’s really hard to recommend the Sonic or any other budget smartphone, unless you absolutely don’t want a 24-month contract. I don’t regret buying the Sonic. I’m not planning to replace it in the near future, despite the annoying camera. However, if I was looking to buy today then I’d seriously consider signing a cheap 24-month contract for a Galaxy S2, or I’d look for something like the S2 on the used market. That said, I wouldn’t be surprised to hear soon that Huawei have dropped the price of the Sonic. If it comes down closer to $100 then it might be too cheap to pass up! Thanks for the revisit and long term review Angus, much appreciated. I’ve had mine for a while also and haven’t bothered ‘romming’ it. I’d like to though. 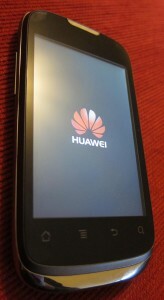 However, there’s an more appetising morsel from Huawei, it’s the Ascend G300 for $152 from Vodafone. I’m very tempted to get it instead. Wanna do a review on the G300? Wow, the Ascend G300 is a lot of phone for not a lot of money! Vodafone AU doesn’t seem to have it yet, but it looks like you can get them direct from China for under $200 unlocked.